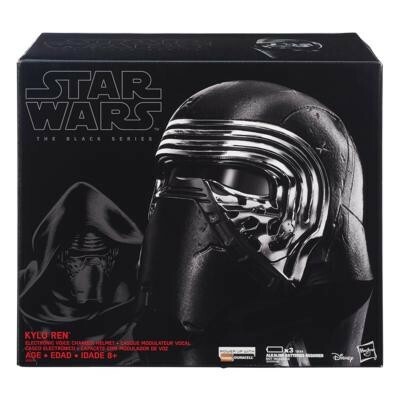 Recreate the biggest battles and missions in Star Wars with this helmet from The Black Series! A dark warrior strong with the Force, Kylo Ren commands First Order missions with a temper as fiery as his unconventional lightsaber. 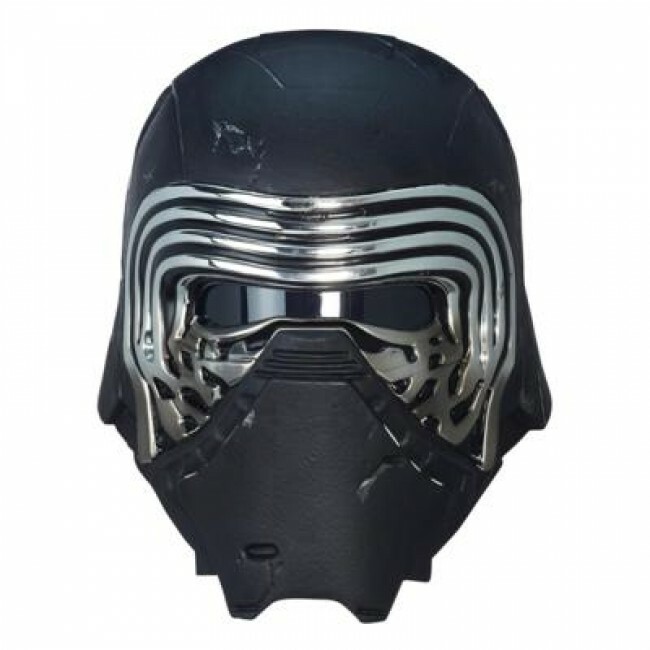 This Kylo Ren Voice Changer Helmet lets you sound like the character from Star Wars: The Force Awakens. The realistic look and sound of this helmet helps carry the imagination far, far away into the Star Wars universe. Imagine the thrill of a heated battle. Enhance any Star Wars collection with this helmet and lightsabers from the Black Series. Each sold separately. • Includes helmet and instructions. •Ages 8 and up. Batteries required. •x3 1.5V AA Alkaline batteries required. Not included.